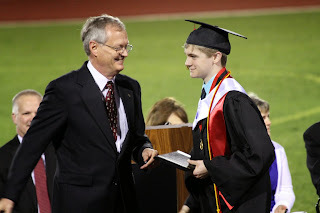 If you've read my blog for a while, you know that I have one son, who happens to be a pretty incredible young man. If you ever meet Corey in person, you would just think he's super nice average high school kid that is polite, likes to spend time with friends, etc. But beneath all of that, Corey is super smart. I mean REALLY smart. 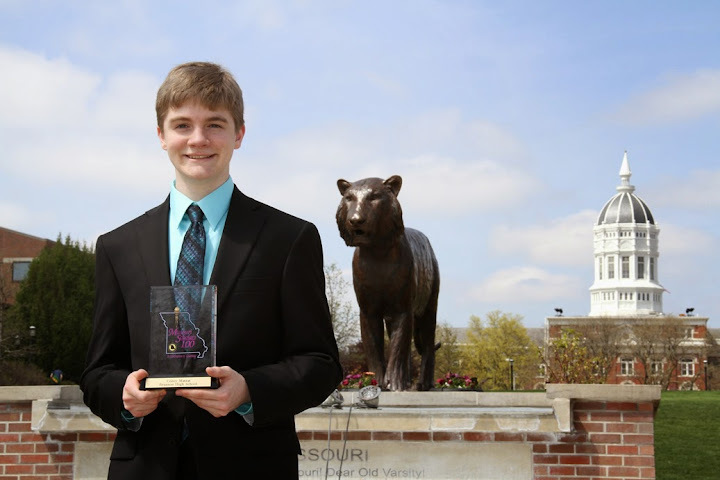 He scored a perfect score on his ACT, he was named a National Merit Scholar, he was selected as part of Missouri Scholars 100, and in early in May we found out that he was named as a U. S. Presidential Scholar! This is a tremendous honor. There is one boy and one girl per state that is given this honor each year, and the selected students receive an expense paid trip to Washington, D. C. and get to meet the President! Needless to say, we are VERY proud parents and are so pleased to see all of his hard work over the years pay off. Because of graduation and preparing for his D. C. trip, things have been a little extra crazy at our house. We hosted our family and friends for a graduation party on Mother's Day weekend. 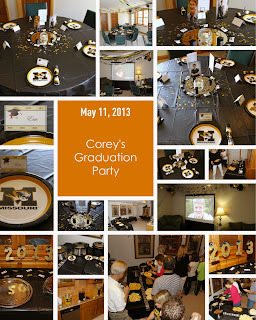 We had a taco bar for lunch (which I highly recommend if you need to serve a large group of people), and my husband made the most amazing graduation video as a present for Corey. It had clips from most of his teachers over the years, all of our family members (including my dad right before he passed away), and he even got some of Corey's favorite authors and podcasters to send him clips (way to go James Dashner, Neal Shusterman, and the Gomers!). It was amazing. Corey also got invited to a lunch at the Governor's Mansion as recognition for being a Presidential Scholar. That will be a fun experience later this week. I've been trying to use less pre-made mixes (too much sodium, etc.) and to find homemade versions of simple recipes. I tweaked a bunch of different sloppy joe recipes to make this one, and it really is scrumptious. Puree the chopped onion and chopped celery in the blender or food processor so that you don't have large chunks of vegetables (I added about a 1/4 of water to the blender so that mixed smoothly). Pour onion and celery mixture into a large nonstick skillet and heat through to get rid of some of the water and to soften the vegetables. Add the two pounds of ground beef and cook until the meat is brown. Drain. Puree the can of crushed tomatoes in the blender to get rid of the chunks. Add to the meat mixture in the skillet. Mix in the brown sugar, vinegar, garlic powder and ground mustard. Simmer uncovered for 30-45 minutes, stirring occasionally. Serve on hamburger buns. This is a great item to make and freeze for future use.